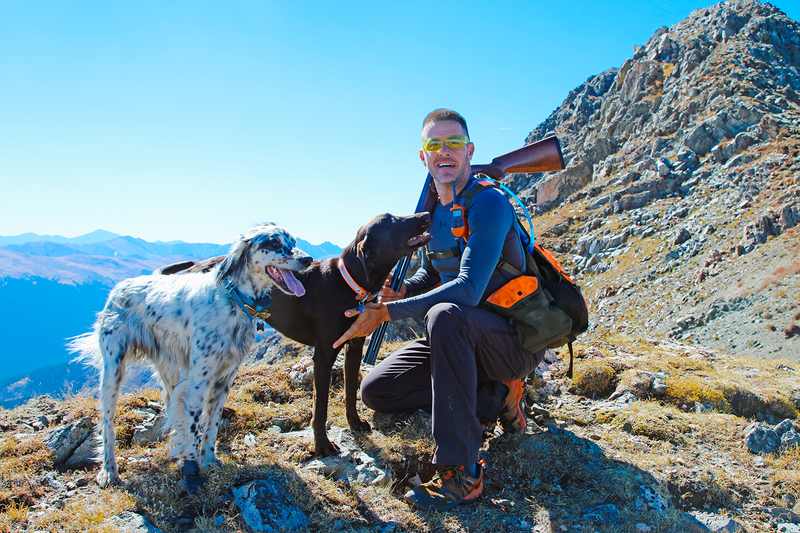 Maurice and I punched through the ridge line at 10,500 feet mid-morning with Wyatt the black lab in tow. 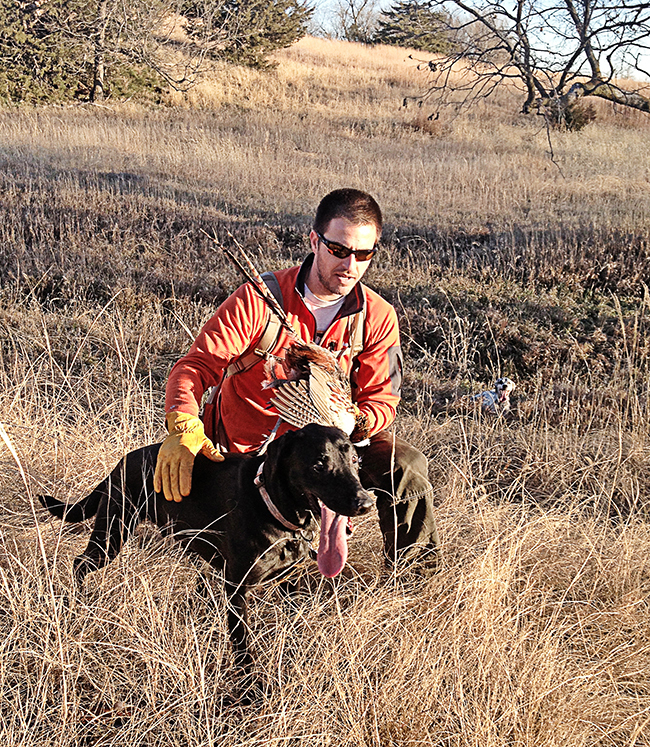 The massive boulder fields and talus slopes are tough terrain for a bird dog. We climbed over a small crease and arrived at a rare sight, a piece of flat ground extending 50 yards to the base of a cliff. I joked to Maurice “it sure would be nice if the birds were on one of these flat spots.” No sooner had the words left my mouth and the flash of wing beats erupted from the rock wall. One day ago, I met Ultimate Uplanders Maurice and Dave in the Lamoille Canyon for the first time. We had been conversing online for a number of months about making an attempt on Snowcock. Dave is a hardworking father of four young kids (soon to be five). 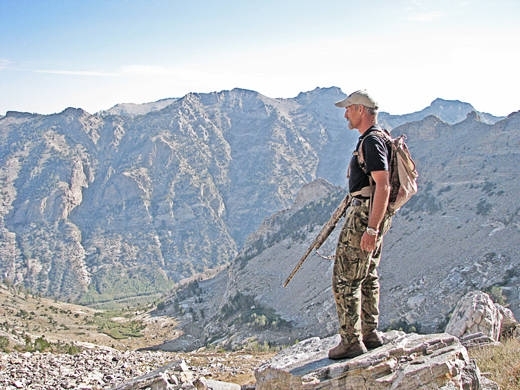 Maurice is a retired lumber man from Idaho who spends five months out of the year traveling with fly rod and firearm in search of outdoor adventure. Dave is the local knowledge. But when talking Snowcock hunting there just isn’t much reference material available. The one thing everyone knows is that they are in the upper reaches of the Ruby peaks. Beyond that how to best hunt them is mainly speculation and rumor. Most say that the birds will descend from the protection of the cliffs at dawn and then feed back uphill as the day progresses. What elevation they descend to, how long they remain, what they are eating…..nearly any scrap of information which might be helpful for hunting is unverified or nonexistent. 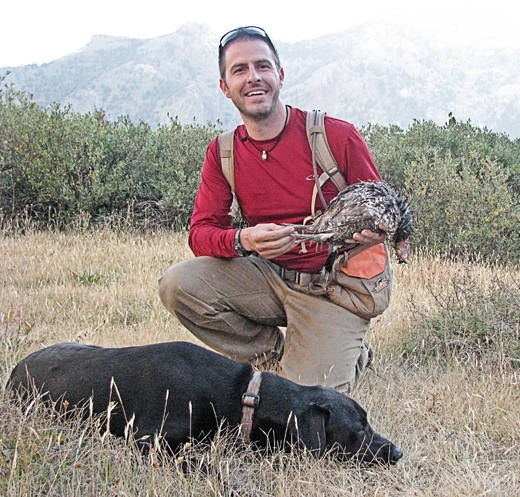 The initial plan was to hike in and spike camp at a high mountain lake, stay for a number of days, spot and then stalk these birds much as you would a large game animal. After climbing to the top of this bowl and then hiking around the backside, it became clear that the elevation showing the most sign of Snowcock started around 10k . We quickly deduce that the issue is not finding the birds so much as finding areas at that altitude which are accessible. 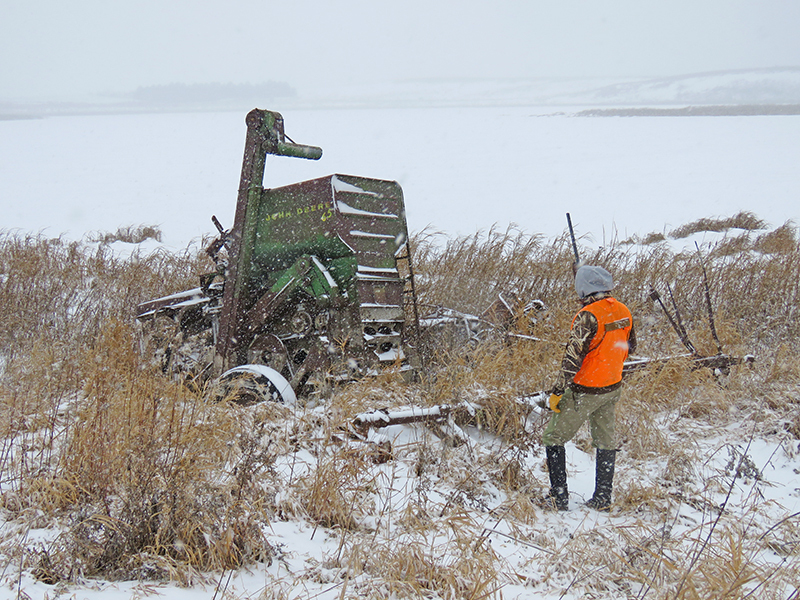 The bird sign we find is old, the huntable areas too limited; this initial pack in is not going to give us the best chance to ambush a Snowcock. And just that fast a plan we’ve discussed for months is rendered useless. The scramble begins to cobble together a new game plan which will get us into the birds based on this new information gained from firsthand legwork. 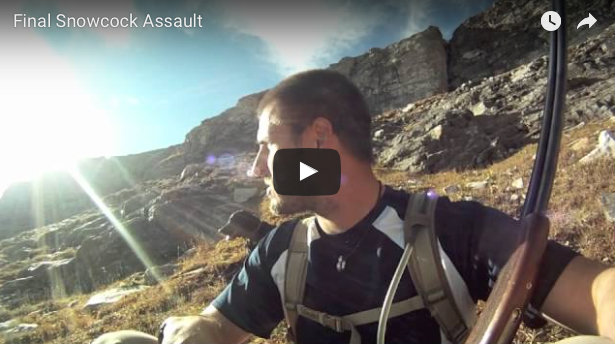 We now know that a climb of 3,000 vertical feet is the minimum just to get to the playing field. Then you still must have enough energy and accessible area to continue the pursuit from there. Since Maurice has just one day left to hunt we let him make the call on the next hunting area. Besides being the shortest of time, he likely has the most experience pursuing game. I won’t reveal his age but I will tell you that the Social Security checks are going to start arriving soon. 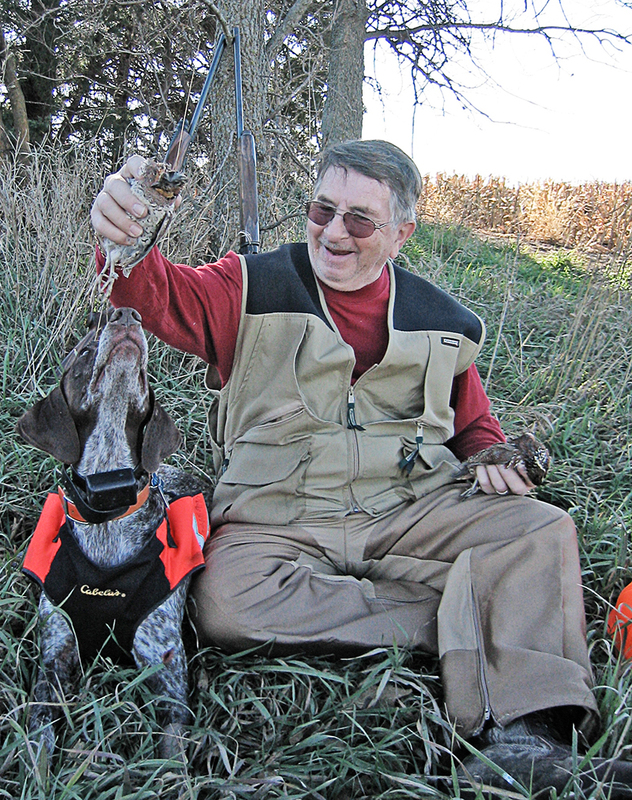 Despite the setback of a triple bypass surgery last year, sheer will and a passion for bird hunting have brought him back to an astounding level of conditioning . At Maurice’s direction we select a new cirque to conquer at first light. I estimate an ascent of 1,500 feet in the first half-mile and then we know there will be an additional 1,000 just to find out if the birds are in the area. It looks like a massive undertaking for a day hike. Though I’ve been conditioning seven days a week for two months, I have some doubts. Dave takes one look at that first half-mile and determines that we are insane and vows to hunt a different day. Wyatt was so stiff from the previous day’s climb that I’m not sure he’s up for the task. But when he sees the shotgun leave the car the will to hunt trumps any aches. He will not be left behind. After a night of restless sleep, I tighten down the boot straps and we head uphill. Just over the rim we begin flushing Blue Grouse. There are plenty of opportunities to shoot, but we are holding out for Snowcock. Wyatt flushes a bird 30 yards to my left where there is a single pine obstructing my view. I get to see two wingbeats as it heads toward the cliff. I pull up and swing the shotgun through the left side of the tree and snap off a shot. The bird doesn’t clear the other side and I hear Wyatt go in to retrieve. And then I see another bird flush and don’t even mount the gun. They are Blues. Though I’m happy to have shot my first Sooty Grouse, I was hoping for Snowcock. We continue to climb and about the time we run into Mountain Goats we also start seeing bird sign and finding Snowcock feathers. They have been here, and in good numbers. But now we are at that uncomfortable edge between the desire to shoot a bird and the desire to return. There are areas up here where you have to weigh access versus safety. Wyatt has been a champ bouldering and climbing, but there are spots in these mountains I will not take him for fear that he would chase a bird off a precipice. Maurice can reach some of these spots without us. After talking it over he heads around a spine and disappears. Then we hear the echo of a shot. It takes a while for Maurice to pick his path around and back down to us. I can’t wait to see the Snowcock come out of the game pouch. But it never does. We flushed more than 24 birds over these last two climbs. Mostly Blues, a random Chukar and at least four, what we believe to be honest to goodness Himalayan Snowcock. 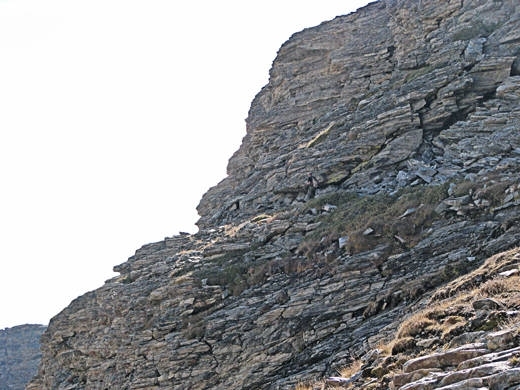 They jumped well out of gun range from one inaccessible peak and coasted to the next while calling out to us. We walked down the hill with a couple grouse, an extremely tired dog and awesome memories. The Snowcock have won the day but have also given up lots of knowledge that we’ll use on the next hunt.